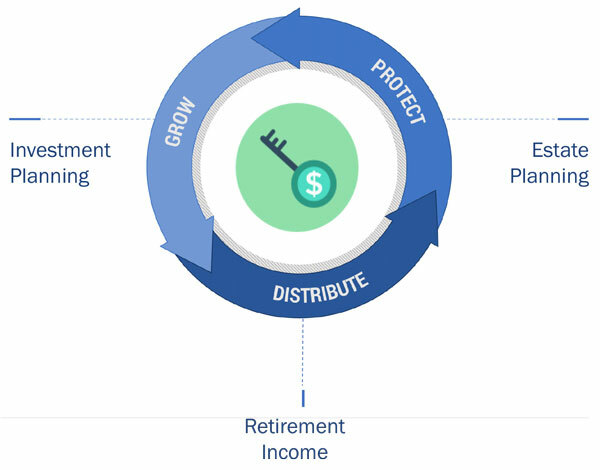 Our Process | SilverStar Wealth Management, Inc.
Our Wealth Management Navigator™ platform, that encompasses our comprehensive 3-Dimensional Retirement Planning™ process, is designed to help you grow, protect, and distribute wealth tax-efficiently to meet your retirement and estate planning goals. IDENTIFY GOALS & OBJECTIVES - What is important to you? ORGANIZE & ANALYZE - What you have and where are you now? PLAN & GAP ANALYSIS - What do you need to get there? DESIGN OPTIONS - How to get there efficiently? IMPLEMENT STRATEGIES - Activate the plan. MONITOR & UPDATE - Optimize along the way.